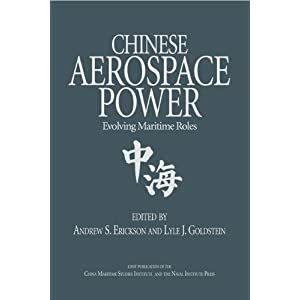 Andrew S. Erickson and Kenneth Allen, “China’s Navy Gets a New Helmsman (Part 1): Spotlight on Vice Admiral Shen Jinlong,” Jamestown China Brief 17.3 (2 March 2017). A new leader has just taken the helm of the world’s second largest navy. Vice Admiral Shen Jinlong (沈金龙) reportedly replaced Admiral Wu Shengli (吴胜利) as PLAN Commander on January 17, 2017 (Global Times Online, January 20). On the morning of January 20, Shen offered Lunar New Year greetings to sailors on patrol in the Gulf of Aden via video-teleconference (Chinese Navy Online, January 20). Authoritative state media reports have offered few details on Shen, making it important to analyze a broad array of Chinese-language sources to distill what his elevation may mean for China as a maritime power. Given Xi Jinping’s sweeping and ongoing military reforms, the organizational dynamics surrounding Shen’s rise merit particularly close examination. Understanding these dynamics can help outside observers anticipate the identity, experience, promotion of PLAN leaders, as well as the positions that they hold relative to the PLA and its key commands. Andrew S. Erickson, “China’s Naval Modernization: The Implications of Seapower,” World Politics Review, 23 September 2014. After years of invitations that Beijing did not accept, coupled with last year’s cancellation of the event due to sequestration, the head of China’s navy, Adm. Wu Shengli, led a nine-officer delegation. Participants in the plenary and regional breakout sessions no doubt wondered who exactly Wu is, what mandate he has, what sort of navy he leads, where it is heading and how it will be interacting with the U.S. Navy. This article addresses these timely questions. Dr. Andrew Erickson with Admiral Wu Shengli on his Sept. 20, 2014 visit to Harvard University. Photo courtesy of Adam Mitchell.